we are a manurafacture all marbal product offring the best class product that are the using the approved and cerfied a raw material. 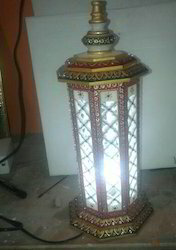 We are an amazing entity, engaged in presenting a wide range of Marble lamp. This product is crafted using supreme quality marble under the direction of experts and latest technology. The offered product can be availed in numerous of the patrons. This range is provided in best packaging material for ensuring its quality &flawless range.